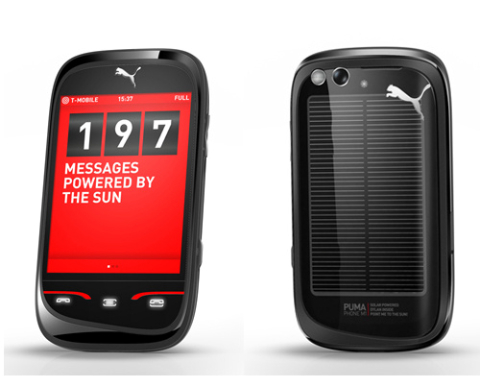 Puma mobile, a lifestyle brand that can make a phone? Fresh from the Barcelona Mobile World conference is the Puma announcement that they are to launch a branded mobile phone in association with French manufacturer, Sagem. Now unlike other brands who have tried and failed with this, think Armani and Prada, this bad boy could fall into the ‘not bad’ section of techy phone review sites the world over. Those aforementioned giants of the fashion world decided to rely too much on style over function (a no no in todays mobile savy world), clean lines and fancy finishes; simply it was aesthetics and little else mattered. What Puma have achieved is actually quite nice. First thing that I notice is how playful the user interface looked (a strong part of the Puma brand). Visually there are many strong ques, from the use of Puma red to navigation via the playful icons which Puma now seems intent on utilising across its whole comms and product range. The phone has also been built from the inside out, integrating sport functionality and connecting it to elements of the Puma brand family. The continuing effort of the company to support green causes and make products which are more environmentally conscious have been captured through the handy inclusion of a solar power panel on the back. The phone even tells you how much music the sunshine has powered. Well, I like it. As a branded phone I’m always skeptical. I love the Nike+ attachment to ipod but was less enthusiastic about adidas’ efforts with Samsung. I since think MiCoach as a piece of technology may help adidas claw back something from Nike, but in general sports brands and tech firms don’t play nicely. This though could be the exception to that rule.